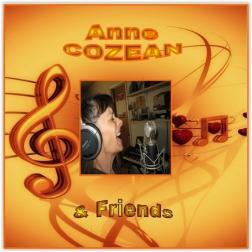 As I have already done for other Wikiloopers, I wanted to pay tribute to Anne Cozean and her voice that enchant our jams. With this opus, I also thank all the Wikiloopers who helped us to make these jams. It’s a lot of fun for me. I like it a lot, Anne's voice is hypnotic, very good album Philippe! Ms. Cozean, a legendary looper. Thanks for adding my simple track. Her voice shines on this. The bass and drums are also flawless. The other tracks make for some very fine listenning Thanks, Frank.